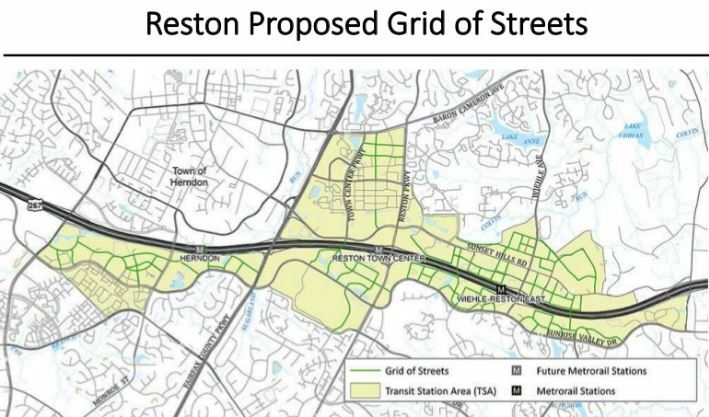 The Fairfax County Department of Transportation (FCDOT) is gearing up to study parking management options, which could add paid parking in Reston and Tysons. FCDOT hopes to hire a professional parking consultant to explore parking management, which FCDOT says would fulfill the vision of the Comprehensive Plan for each area. 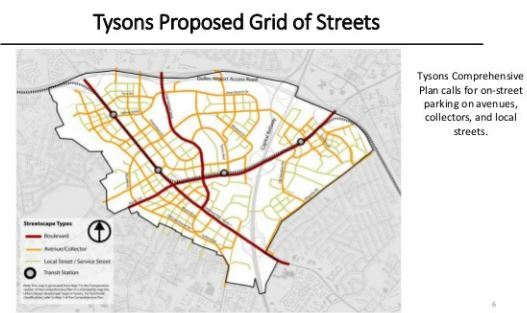 It would also reduce traffic congestion and vehicle emissions from drivers circling blocks to find free street parking and create a new revenue stream, FCDOT argues. Henri Stein McCartney, a transportation planner for FCDOT, updated the county’s Transportation Committee yesterday (Dec. 11) on the proposal and gave examples of managed parking: pay for parking and time restricted parking. The paid parking model can support different technologies — space occupancy sensors, space finding systems, smartphone apps, kiosks, etc. — that can help people find a spot, while also assisting enforcement, she said. The other option is time restricted parking, which can limit parking during certain times of the days or set a certain allotted time for each car. While FCDOT expects the second option would pose more enforcement challenges, license plate readers, street cameras and space occupancy sensors can assist with policing the parking. 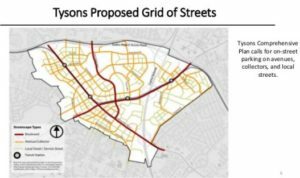 The consultant could measure existing on-street and off-street parking supply and demand in Reston and Tysons and then model future parking supply and demand. The consultant could also recommend appropriate strategies to the board and also put forward implementation and outreach plans. McCartney highlighted one potential challenge: designing a parking plan that does not push cars into nearby neighborhoods with free parking. “That’s a scenario we want to avoid,” she said. With the project in its “preliminary stages,” McCartney said the study — which FCDOT estimates will cost $100,000 — will help figure out what the projected revenue could be from paid parking and citations from parking tickets. Some of the supervisors raised concerns about the proposal. 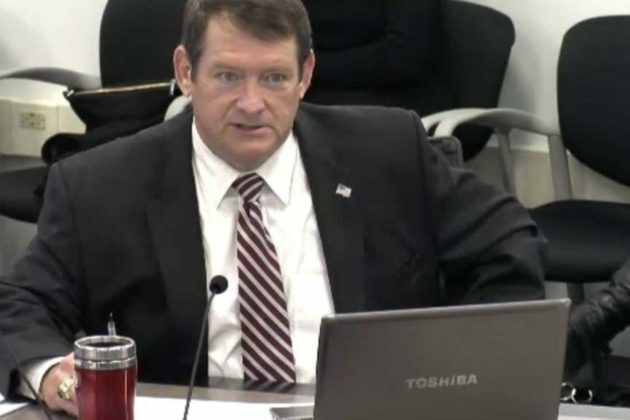 Springfield District Supervisor Pat Herrity stressed that parking availability and fees drive behavior, mentioning the “angst,” loss in revenue for businesses and the complexity surrounding Reston Town Center’s paid parking system. Hunter Mill District Supervisor Cathy Hudgins responded by saying that the “problem in Reston” stemmed from unclear goals. “I think the mistakes that were made in the past can be a helpful learning process,” she said. 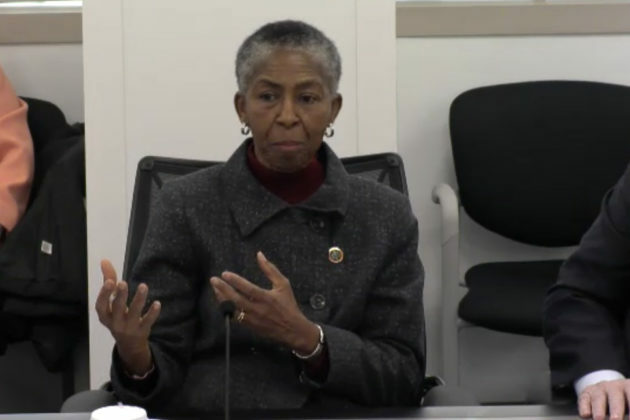 She stressed that the purpose of the “needed proposal” should not focus on collecting money, but instead on helping transportation in an urban setting, especially Tysons. FCDOT plans to update and consult with the board as the process continues. 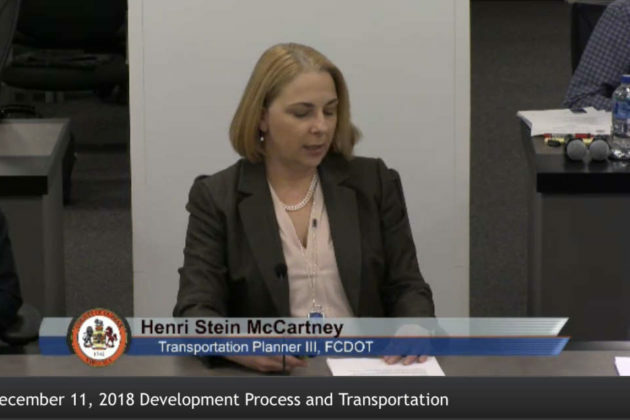 While the plan does not have a timeline yet, McCartney said FCDOT “would move fairly quickly” to hire a consultant for the study acquires funding. After board approval, FCDOT would work with stakeholders — the Office of County Attorney, Fairfax County Police Department, the Office of Community Revitalization, the Department of Planning and Zoning, Land Development Services and others. Together, they would update ordinances, set meter rates, select vendors and begin outreach efforts to businesses and the community. Del. Ken Plum: What is Your Opinion?